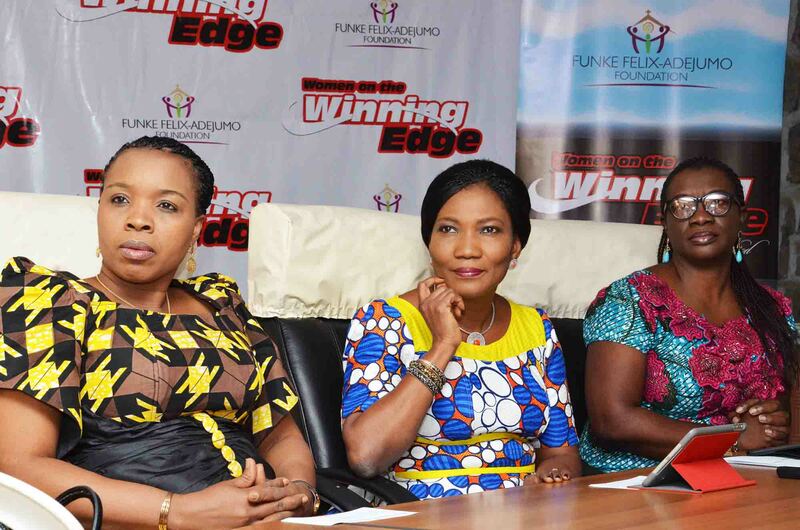 Organisers of the annual Funke Felix- Adejumo Foundation (FFAF) have announced that the 2017 edition of Women on the Winning Edge will hold next week in Lagos. Announcing the date today, FFAF said the programme will take place on January 14 and 15, 2017 at the Tafawa Balewa Square (TBS) Lagos. ‘Women on the Winning Edge’ is a female development initiative organized to help women reach their potential. The programme is an initiative of Reverend (Mrs) Funke Felix-Adejumo and it is targeted at every woman, single, married, divorced, single mothers, all and every woman. This year’s event will see 16 exceptional speakers address a wide range of female focused issues over two days. Among speakers billed to be at the event are Mrs Joel Odumakin, Pastor (Mrs) Nike Adeyemi, Mrs Folorunso Alakija, First Ladies of Lagos, Ondo, Ekiti and Kwara States and many others. Funke Felix Adejumo Foundation is a developmental agency set up to help women fulfil their purpose as mothers, wives, careerists, friends and nation builders. Speaking on the project, the convener, Mrs Felix-Adejumo said, “The project is a non-denominational gathering focused on women who come together to share real life issues and speak on development of our general wellbeing. The conference, which is its first, is one of the signature events of the FFA Foundation, along with the Mother’s Summit, Grace Orphanage Projects and ‘The Woman’ Programme. The FFAF was founded by Mrs Felix-Adejumo to empower women to improve humanity. The convener herself is a female enthusiast, with many women developmental projects. A Bible teacher, conference speaker, her principal objective for setting up the foundation is to bless and empower women.